March 14, 2016 – Quick! 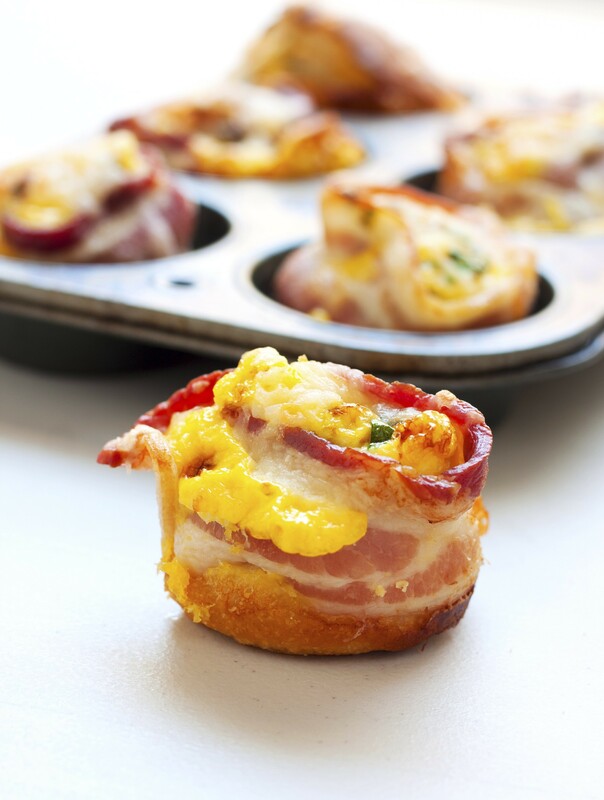 When was the last time you used a muffin tin for something OTHER than muffins? We’re putting a few more miles on ours with some unexpected uses. Don’t have a muffin tin? You’re in luck. Find the Crofton 2 Piece Muffin Pan Carrier* at your local ALDI this week! We love to smoothie for breakfast, lunch, snack or dinner. But prep can be kind of a hassle. Make a batch ahead of time by freezing mixtures of your favorite fruits and veggies in muffin tins. Then, store in a freezer bag. Grab a cube or two when you’re ready and blend with liquid like coconut water or milk and enjoy. Whether you’re planning to feed multiple mouths, or planning ahead for the week, a muffin tin does just the trick when making big batches. Prep your favorite egg bake (we love these Mini Crustless Quiche), and pour into the muffin tin to make 12 individual servings. Bake at 350 degrees for about 20 minutes. Stuffed peppers make a complete meal simple, but keeping everything together for a pretty presentation can be tricky. Help with the balancing act and prepare them in a muffin tin to keep them intact. Try our favorite recipe for stuffed peppers – Garlic Couscous Stuffed Peppers. Craving a cookie AND ice cream? Well now you don’t have to decide (and we won’t tell anyone you indulged). It’s a cookie cup! Use your favorite cookie dough recipe and mold them to the bottom of the muffin tin to create single serve bowls and fill with ice cream and your fave toppings. Spark some culinary creativity with your friends by clicking the icons above! Does Crofton make dutch ovens?